Going through the recruitment process can be extremely daunting for anyone looking to find a job abroad. 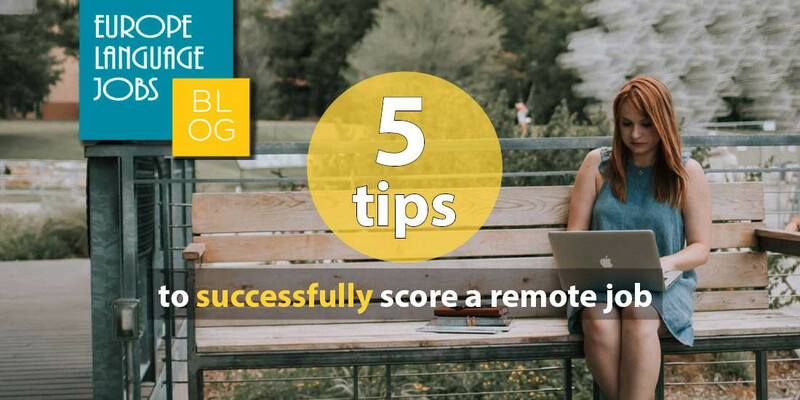 Fear not, our tips from recruitment experts at Learnship Networks should help you to nail the recruitment process and find your dream job abroad. Lisa Panzerbieter works as the Corporate HR Coordinator at Learnship Networks GmbH based in Germany. She is responsible for the various functions of the recruitment process in the company. Learnship Networks are experts in providing learning solutions for B2B clients. They are setting new standards of quality in the field of face to face online language training worldwide. They are currently looking for English, French and Chinese speakers to join their team in Germany. You can find out more about their offers here. 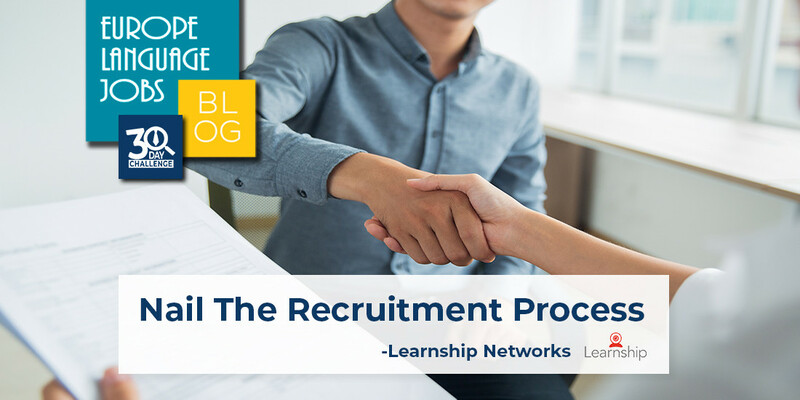 1) How does the interview process usually go at Learnship Networks? When a person applies to one of our offers we screen the application documents first. We will check their CV for their experience and skills to see if they are a good match for our company. If the result is positive then we will invite them for a telephone interview. We see this as an important step, and it is a great way to get to know someone as a phone call is more personal. It allows us to get a good initial impression of a candidate and visa versa which is useful as a lot of our candidates are abroad at the time of applying. We will then talk with the relevant department about the applications and we will invite those who passed this step to a personal interview at our office, or for a Skype interview. 2) What tips do you have regarding Skype interviews? Make sure that you do the interview in a quiet place away from any noise or disturbances. It is also important to dress formally, do not wear pajamas! We would also recommended being friendly and open to our questions. In advance it is very important to study the position that you have applied for as well as the company’s aims and what they are about. Check out more Skype interview advice here. 3) What makes people stand out in an interview? People who show drive and enthusiasm really stand out to us. They should show their understanding and enthusiasm for both the company and the role in question. We also look at how they will fit into our international team, so things like personality and interests are important. Another important aspect are the candidates' past experiences. Candidates should be able to draw on relevant past experiences they had in other companies and how they would fit the role that they applied for. 4) Do you have any tips for after the interview – is follow up important? Some cultures are different but in Germany while it is not neccessary, we sometimes appreciate follow up. We mean this in the form of a short thank you email, thanking the recruiter for their time and expressing their interest in the role. Check out our post for more advice on what to do after a job interview. 5) What questions do people find hardest to answer? Often people find it difficult to think of specific examples in their previous experiences and how they fit into the role. Therefore it is important to prepare this well in advance. We often ask about specific examples in the past and watch closely how people react. Are you looking for more advice on how to answer difficult interview questions? 6) What’s the first thing that you notice on a CV? The layout. It’s important to organise the CV so that it is clear and readable and all of the relevant information is displayed. 7) What makes someone’s CV really stand out? Past experience and skills that fit the role really stand out when reading a CV. Candidates should display the most important tasks that they have done at the top to make it more clear. 8) What’s the most common mistake that you see in CVs? Often people do not display their previous experience very well. It is important to display the role, company and time period, along with listing important tasks that you held. Sometimes people think that it is enough to just display the title, but this does not tell us anything about the exact tasks and responsibilities of the role. 9) What are some tips that you have for people’s CVs? - Include relevant experience displaying the role, company, time period and important tasks. - Include your language skills and the level. - Make sure you include important skills such as IT. - Explain any career gaps – these can look suspicious to us if you do not provide any explanation. Learnship Networks is currently looking for English, French and Chinese speakers to join their team in Germany. You can check out their offers here. Guys, thanks for the advices. Would you have advices for the layout? I do believe this is one of the top mistakes in my CV, might not be eye catching. 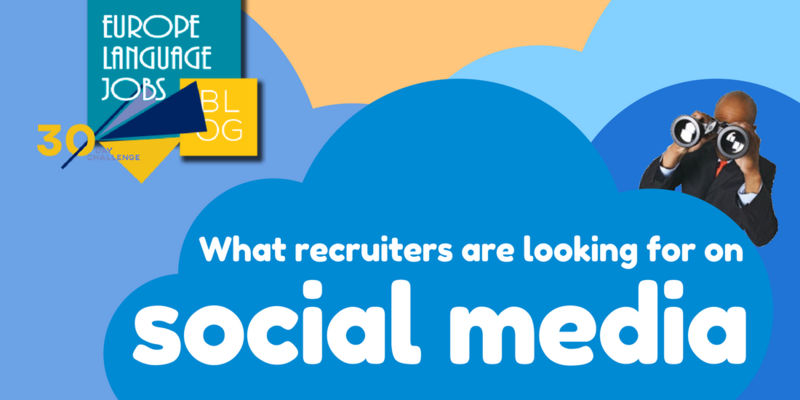 In today's jobsearch, everyone knows that social media plays a big role in the modern jobs search, but what is it exactly?